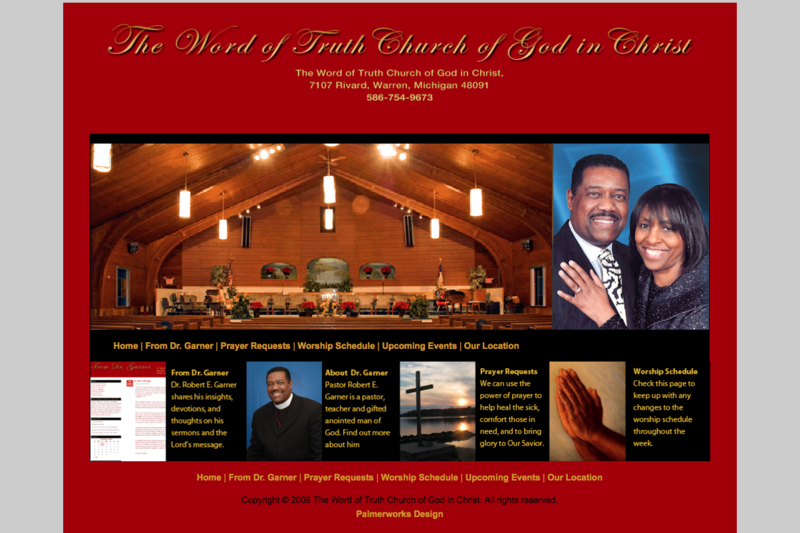 The Word of Truth Church of God in Christ in Warren, Michigan, wanted a website that would keep the congregation abreast of church news and happenings. 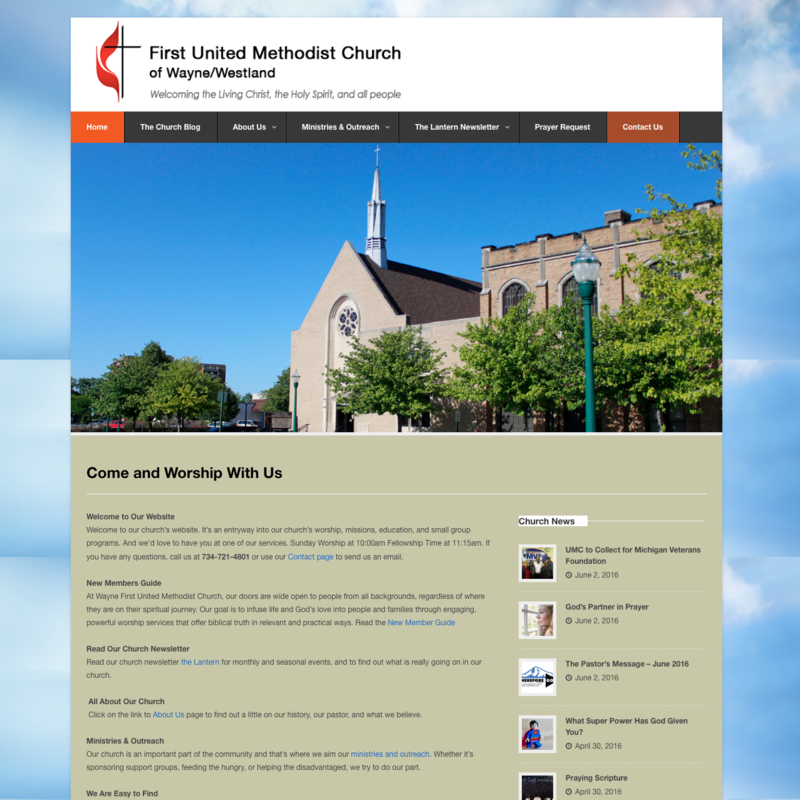 We developed a site that showed off its beautiful sanctuary, featured an events page, and offered church members the opportunity to post prayer requests online. 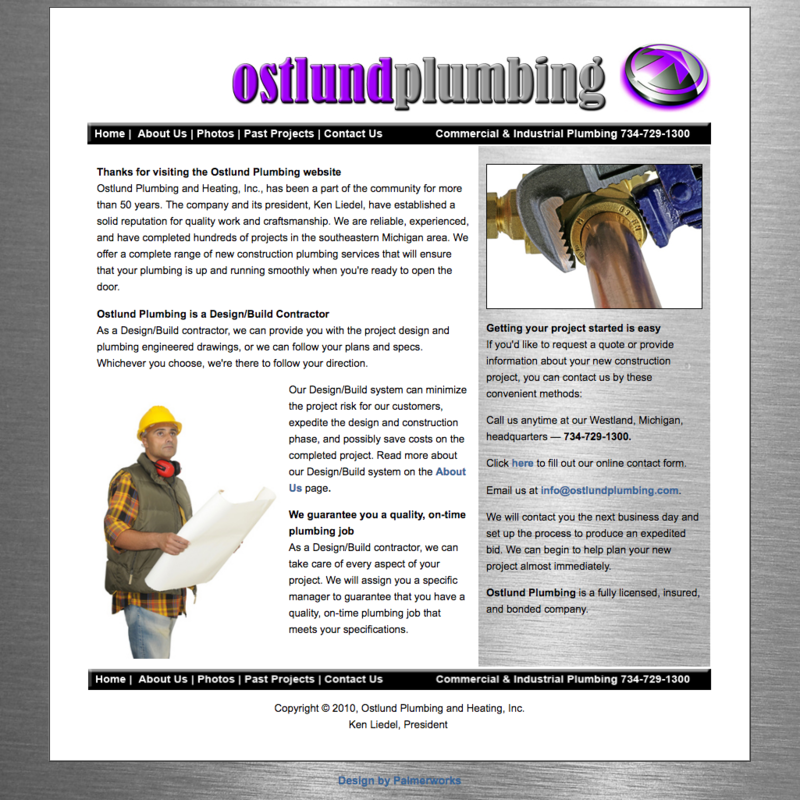 Ostlund Plumbing wanted to increase awareness of its Design/Build construction process which expedites the design and construction phase, and saves costs on completed project. 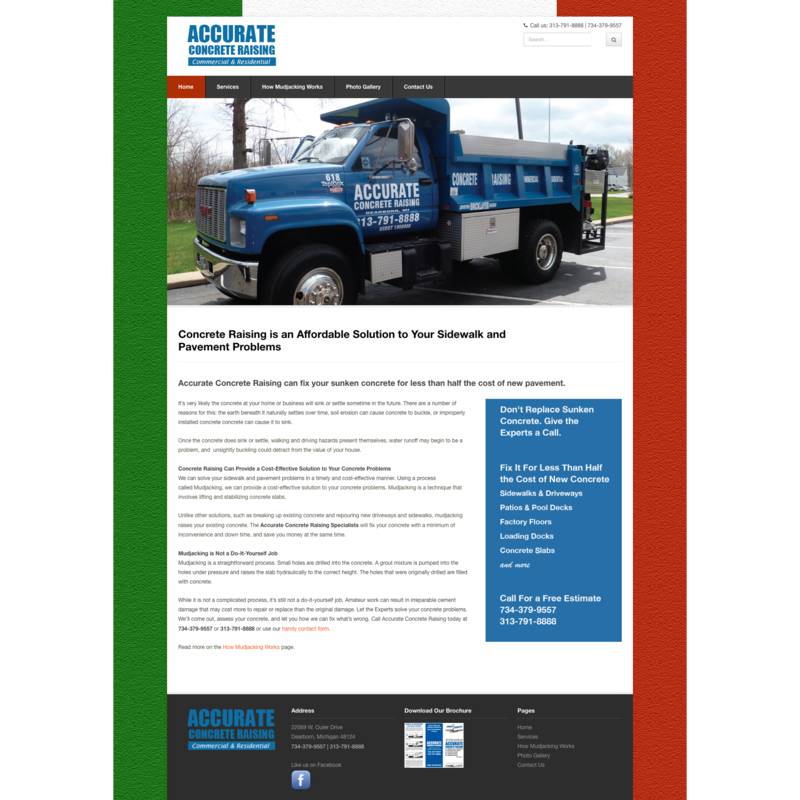 We developed an easy-to-navigate site which featured clear explanations of the company’s process. Colorful photos illustrated completed projects. 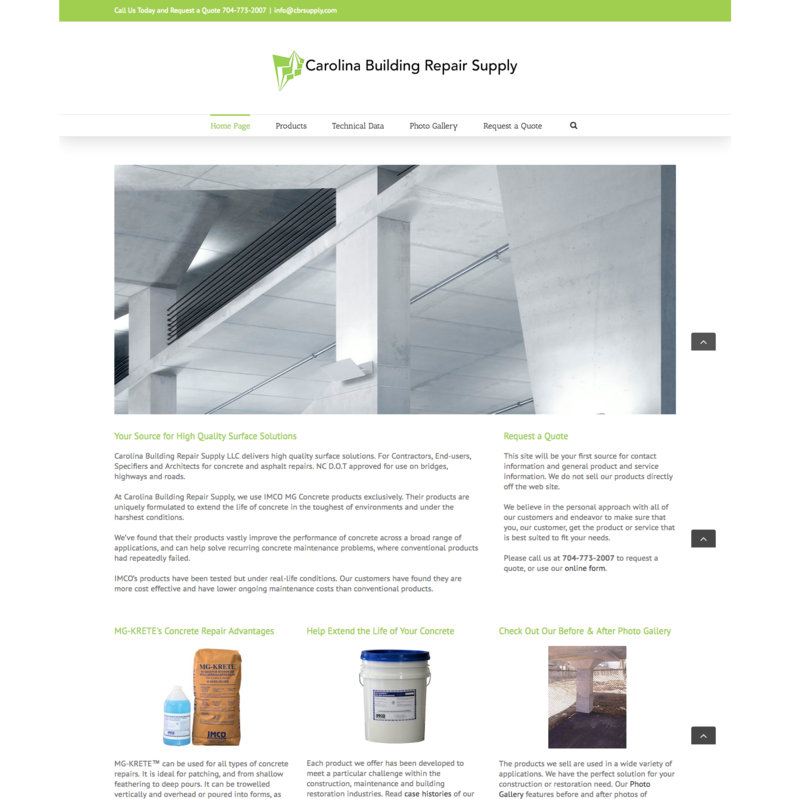 Carolina Building Repair Supply delivers high quality surface solutions, approved for use on bridges, highways and roads, for contractors, end-users, specifiers and architects. We fulfilled the client’s requirements that detailed technical product information and specifications be included on the site. No official records can be found for the phenomenon, know as the Bass Pimp. All we know is that he appeared on the scene at the Monterey Pop festival, a mere hour before Jimi Hendrix played. Jimi was so stunned at the Bass Pimps antics on the bass, it push his on performance to a higher level. The next sightings were at the Isle of Wight Fest, and also at the Atlanta Pop Fest. 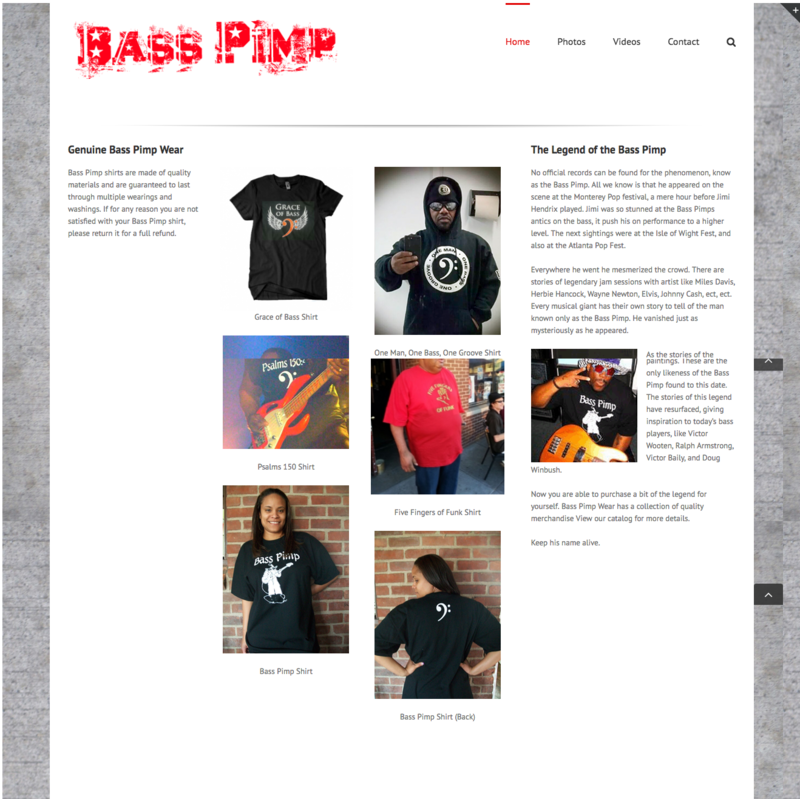 Palmerworks created a website for the famous artist, where you can buy Bass Pimp Wear – a collection of quality merchandise. 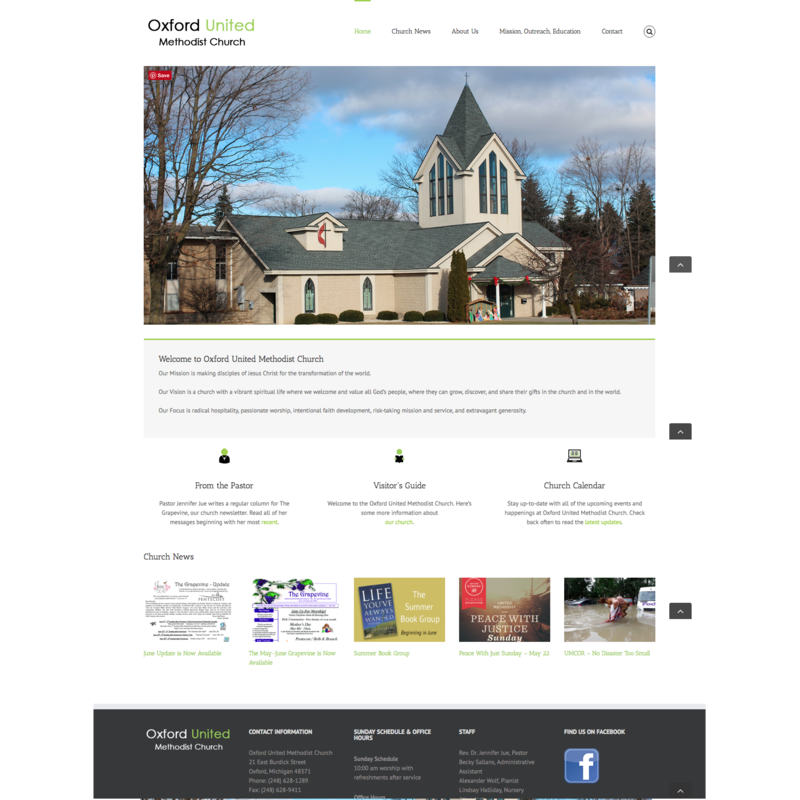 The Oxford United Methodist Church in Oxford, Michigan, decided that it’s time to bring their church to the web. They wanted something simple, yet elegant, and I think we’ve come up with the perfect look to showcase their beautiful church and make it easy to navigate the many groups and ministries they have to offer. 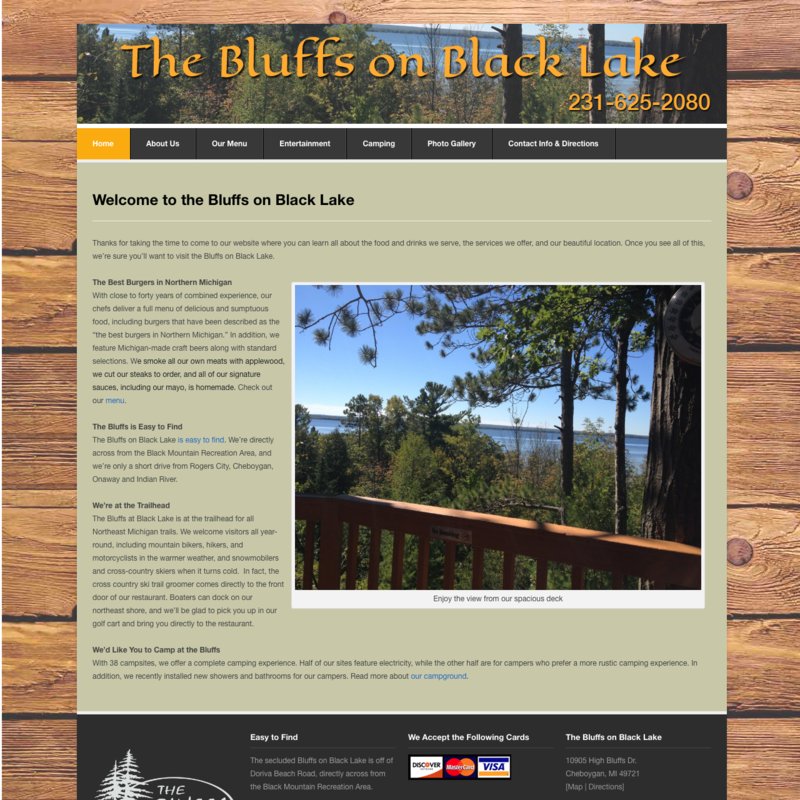 Visit their website to take a look for yourself. Cyndi has been decorating cakes since she was a teenager. Her artistic talent has become a lucrative business venture. Time for a website! 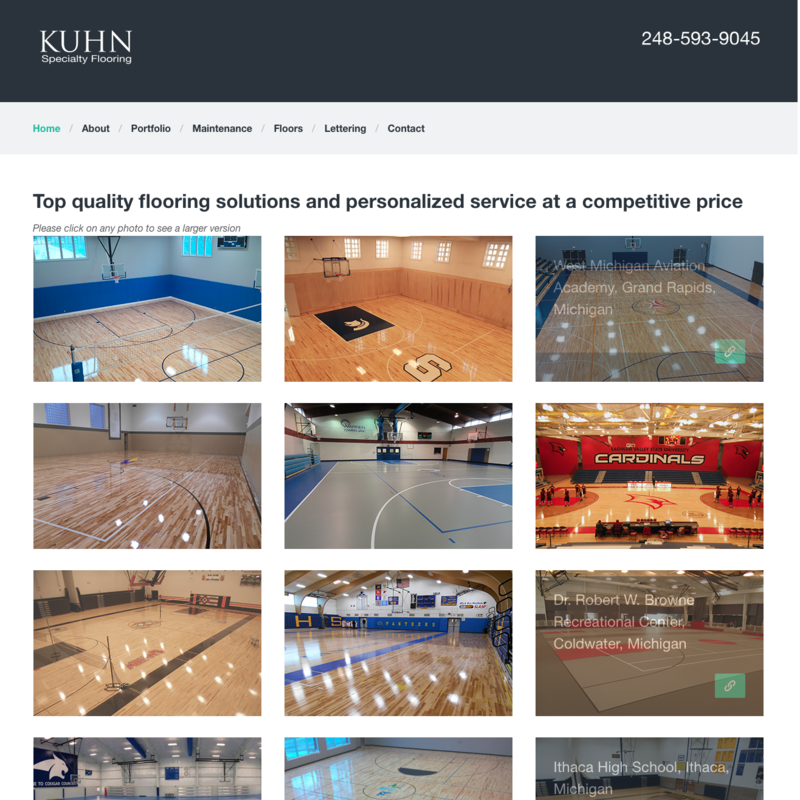 Palmerworks offer much more than just websites, we helped her select a memorable domain name and found her a catchy new phone number using Google Voice – 248-838-9YUM. We also set up her new gmail account, scanned and downloaded pictures from her photo albums, Facebook account, camera, and old cell phone. 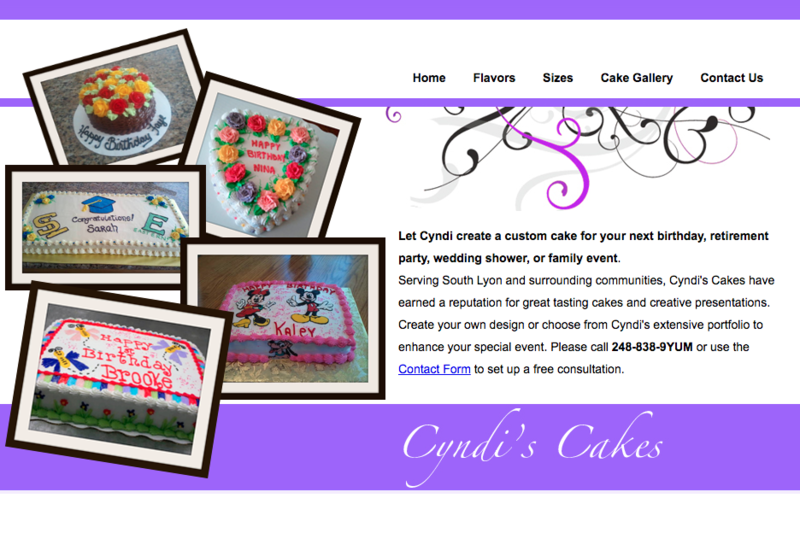 We designed the site around her favorite color using her cake photos and created a contact form that sends new client requests and cake details directly to her email. We also created business cards to match her new site. 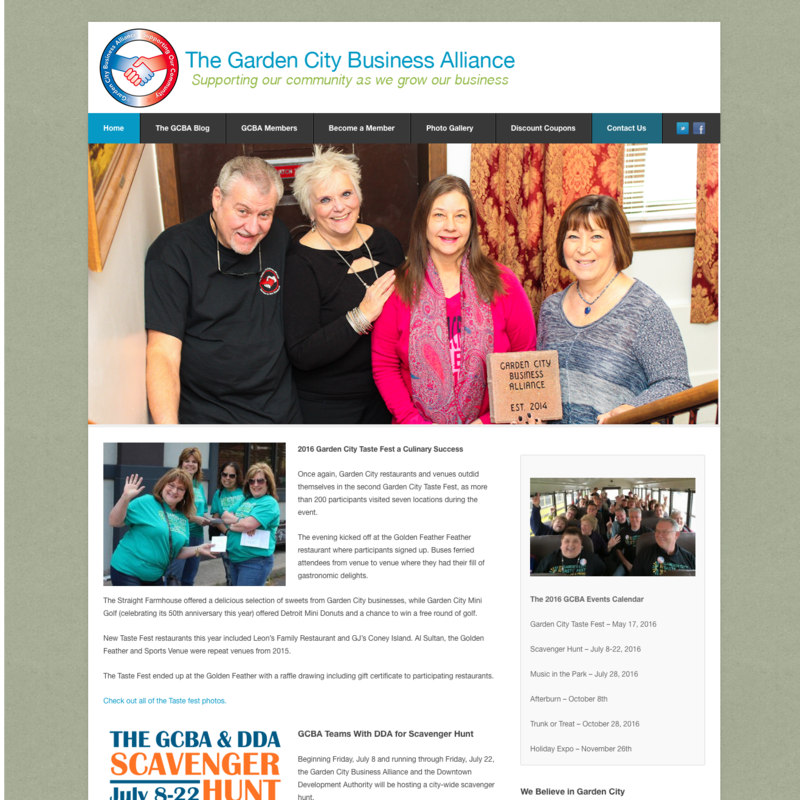 The Garden City Business Alliance is an organization comprised of Garden City, Michigan, business owners, citizens, and community advocates, who believe that small businesses working together can help each other and the community. The group meets once each month and holds a variety of community events throughout the year. Palmerworks created their website and updates is continuously with information and photos about their community involvement and events.